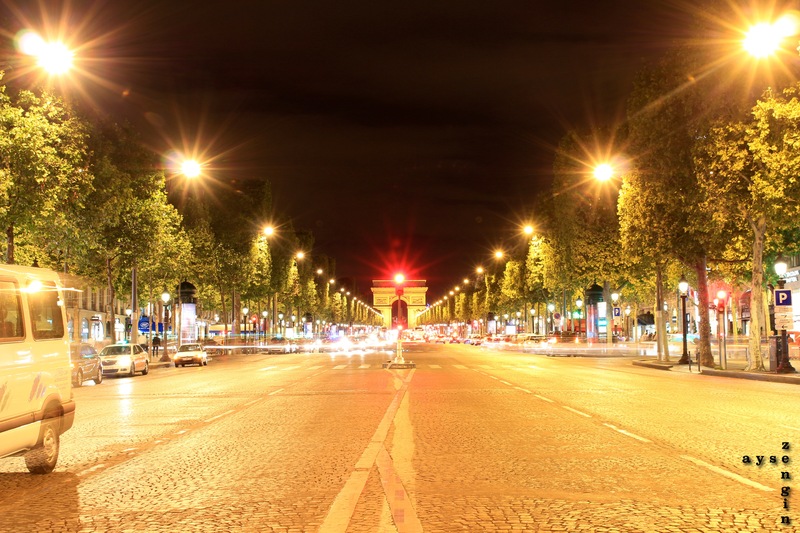 Once we settled into our lovely apartment, we decided to make our way to Champs de Elysees and see the Arc de Triomphe. We each bought a book of 10 metro tickets, and made our way to the grand boulevard. Once we arrived, we all were amazed at the hustle and bustle, and the sheer awesomeness of this boulevard!!! But hunger got the better of us, so before we began to really explore, we thought it best to satiate our hunger. 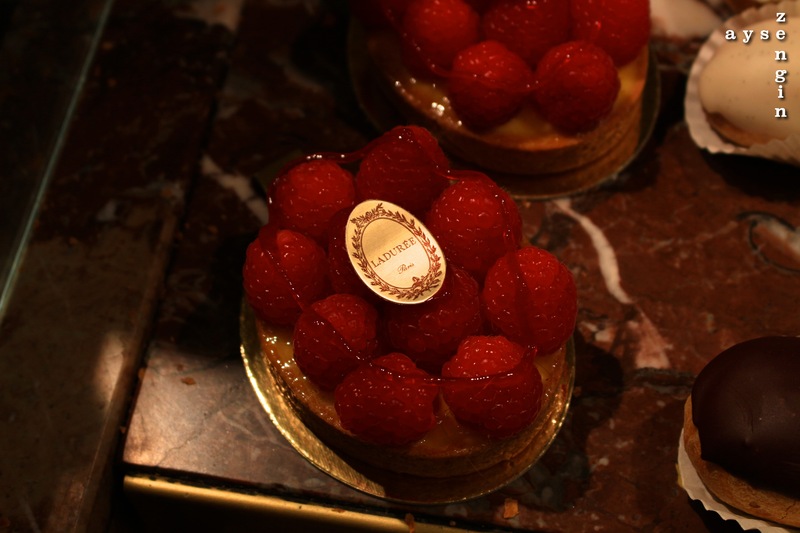 Following dinner, we were keen for dessert – low and behold we found ourselves right in front of La Duree! We all bought a handful of delicious macarons and divulged in the sweet sensations as we walked around the lively grand boulevard. We all had different museums to visit, and we thought it best to get there early in order to avoid any queues and to enjoy the masterpieces without the chaos. Meryem was visiting the Lourve and given that she didn’t know too much about art, I gave her advice on what she absolutely must see (besides the obvious Mona Lisa). As I had already visited the Lourve 2 years ago, I told Meryem to say “hi” to Mona from me and kept walking to the Musee d’Orsay. I was very excited to visit this museum as it had loads of work from the Impressionists – my favourite era! As I entered the museum, I was surprised at the layout it seemed a little confusing. There was a whole bunch of sculptures and statues in the middle with separate rooms on the left and right. My mission was to first see work by Van Gogh (he is my all time favourite!! ), so after asking the first museum employee I had seen, I bee-lined it to the Van Gogh section. AND oh how wonderful it was!! By far the highlight for me was the self-portrait that had a blue background. I then made my way to the section that displayed work from my second favourite artist – Monet. I was intrigued to see a lot of his earlier work here – which made me realise that even though these were amazing, I preferred his work once he had moved to Giverny. For dinner we were meeting my friend Leonié, who was a local. So we met her at the metro stop Commerce and she took us to a nice French bistro called Le Café du Commerce. I ordered the Grenobloise fish dish, which I was a little disappointed, as it was not filleted nevertheless, the taste was actually ok… I was in awesome company and that is what mattered most! We then bid farewell to Leonié and walked to the Eiffel tower. Sharon was challenged to do the ice bucket challenge, so as we were in Paris, she thought it would be unique to have the Eiffel tower in the background of her video. As the sun was just setting, we were lucky to see the tower in this light. We made our way up the hill to the Trocadero Gardens so we could have a nice view of the tower. As I was shooting away with my camera, I heard a familiar voice behind me. As I turned around I could not believe my eyes – it was my friend Caio and his fiancé Rosanna, whom I had met when I first moved to Cambridge! I knew that they were in Paris as well, but what were the odds of running into them in such a crowded place! It was really nice to see them! As the big hand approached the hour, Sharon was ready and proceeded with her challenge with the Eiffel tower sparkling in the background. I was given the honour of pouring the bucket of cold water over her head, which in turn, she nominated me! I wanted to show Meryem and Sharon the artist quarter of Montmarte, as it has a nice vibe to it. Upon our arrival, I wanted to get a jump shot of all three of us with the Sacré-Cœur in the background, however, this proved not as easy as what I thought. We all could jump, it just wasn’t synchronised… After many failed attempts we decided to climb the stairs of the Sacré-Cœur and enjoy the view of Paris from atop. From my last visit, I knew that there was a mini plaza just behind the basilica where there were artists sketching the portraits of tourists. This area was very crowded, but we managed to weave our way through the lanes of artists and easels. Some were very impressive, and I must admit, I was nearly tempted to have my portrait sketched as well! Once we had enough of the artists’ quarter we made our way back down to the metro and along the way took selfies in front of the infamous Moulin Rouge. Our next mission was to find a Pierre Herme boutique to sample more macarons. From my previous trip to Paris, I enjoyed Pierre Herme macarons more than La Duree. So both my friends, Meryem and Sharon were eager to try macarons from this boutique. We ended up at the one near Opera and oh my goodness – the taste was amazing, it was as if fireworks were going off in my mouth! We bid farewell to Meryem at the early hours of Monday morning. Sharon and I caught the train to Vernon and then a bus to Monet’s Garden. The weather wasn’t too great, in fact it was lightly drizzling. As soon as we arrived at Monet’s residence with our electronic tickets (trust me this is a must to avoid the queues…), we raced over to the lily pond before it got too crowded. And what a sight it was! If you have ever seen a Monet water lily painting, just imagine that his garden looks identical to what he has painted! We walked around the pond, and the grounds of the garden – which had very beautiful colourful flowers in bloom! We also explored Monet’s house and got told off for taking photos in the kitchen, for no obvious reason… As it was raining, we didn’t want to get drenched, so we didn’t get a chance to explore the little village. Instead we thought it best to head back into Paris. For dinner we decided to dine locally in Le Marais. Finding a restaurant that was open on Monday was actually quite challenging. All the ones that were on the list of great restaurants on TripAdvisor were closed! To avoid further disappointment, we simply walked into a restaurant that looked semi-decent. I was eager to try a crepe from the creperie across the road, and after a horrible crème caramel for dessert, I thought I was deserving of a freshly made nutella crepe. It was delicious and for 3€ you really couldn’t go wrong! I was aware that Tuesday was one of the busier days for visiting Versailles, but we didn’t have any other option as we were leaving the following day. We arrived in Versailles at around 11am and were gobsmacked at two things: the hugeness of the palace AND the amount of people who were queuing to get into the palace! All these people also had pre-purchased their tickets just like us, so we also joined the line… I kid you not, there were 5 lanes of people in the shape of a snake the length of the entire “driveway”. Having said all of this, we waited only 30 minutes till it was our turn to enter the grand palace. From the first moment we entered the palace, you could simply feel the wealth of the French kings. We followed the masses of people, most of who were listening to the audio guide, through all the rooms of the palace. And finally we arrived in the Hall of Mirrors – and what an amazing hall it was indeed! The wall was completely covered in mirrors with gold trimmings, and the ceiling had several paintings also in gold frames together with enormous crystal-like chandeliers with parquetry floors. It was definitely the highlight of Versailles for me! We met my French friend Farva for an early dinner/snack. She took us to a creperie in Saint Michel that she used to visit frequently in her student days. I went for a savoury crepe (tomatoes and cheese) and it was scrumptious! We enjoyed our crepes at the Luxemburg gardens. We stopped over at Grom again to have one last gelato (I highly recommend pistachio and salted caramel). As it was our last day in Paris, Sharon and I thought it would be nice to have a late breakfast at an artisan bakery. My friend Farva informed us that if a boulangerie (bakery) has artisan in front of it, it means that the bread etc is made fresh that day and is not frozen baked. We set off on a mission to find an artisan boulangerie – but we must have been walking in the wrong direction, as we didn’t come across any! In the end we settled for a café, which ended up having nice wait staff. We wanted to randomly explore the streets in our neighbourhood, so we walked to the northern parts of Le Marais and back to Chatelet, where we came across an artisan bakery. We were both delighted and immediately bought dessert to accompany our lunch. Paris was amazing, I definitely recommend everyone to visit this amazing city! If you are based in London, the Eurostar has offers where a return trip to Paris can cost as little as £59 (actually this is the current offer!!!). When you do visit Paris, try and do things off the beaten path, this will enable you to enjoy Paris as the locals do (and mostly avoid the other tourists!). Due to lack of time, we weren’t able to go on a street art tour, as I’ve been told that there are amazing street artworks in the 10th arr. But I’ll just have to save that for next time! Oh and definitely eat as many macarons from the good boutiques as possible – definitely worth the calories! All the best in Paris – you are going to love it!! 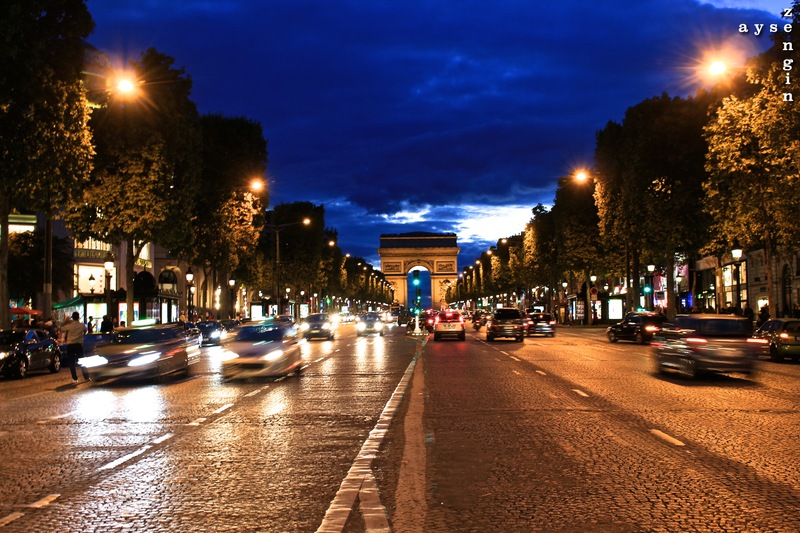 Safe travels and whilst in Paris: live the adventure! We spent three weeks in Europe in June. One week in Paris and saw many of the sights you describe. I’ve been missing it everyday that we have been home…I would love to go back someday. Thank you for rekindling my memories! Thank you for your kind words. Paris is truly an unforgettable city! It’s one of those cities that you can keep on going back to and each time, finding something new and different to do.